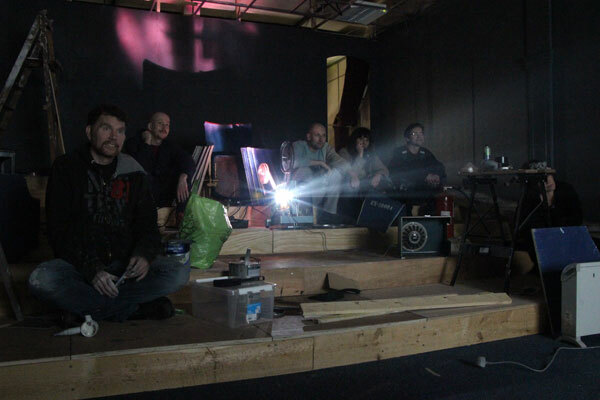 A Small Cinema in Liverpool – video 01 – the gauntlet from Small Cinema on Vimeo. It’s no coincidence that films referencing the industry that birthed them are regularly produced. No coincidence either that many of these films fit snugly into the category that has long had its own, now-lazy shorthand: ‘Cinema, a love letter to’. Indeed, history is littered with films described as a love letter to the form: Giuseppe Tornatore’s Cinema Paradiso (1988) – the title of which says it all — Martin Scorsese’s Hugo (2011) and, more recently still, this year’s Berlinale Golden Bear Winner, Jafar Panahi’s Taxi. Despite, or in spite of seemingly constant threats to the form’s popularity – the onset of TV and then the sucker-punch of video – cinema attendance has, surprisingly, grown steadily since the mid-1980s. The appeal of the medium is enduring, for sure, but now, with the movie theatre facing a new threat in the form of TVoD services such as Netflix, Mubi and their ilk, there is yet another new media Johnny-come-lately to contend with. So, you’d arguably be prudent to assume there is no small gamble in setting up shop with a new cinema in Liverpool, a city already pretty well served in that department. Wouldn’t you? After all, it’s one thing to produce a paean honouring the art form, quite another to build a monument to it, right? Well, no, not if your name’s Sam Meech and you’re also the founder of A Small Cinema. A self-professed “project exploring what cinema used to be, and what form it might take in the future, through research, events, experiments, film-making and community dialogues”, ASC is a model Meech has explored previously, and with success – in north Manchester’s Moston, as well as a currently under construction ‘sibling project’ as he calls it in a former church in St. Helens. The project is now fully supported by BFI Film Hub North West Central, which means that the three venues can bring specialised and independent British Film to their local audiences. Key to A Small Cinema’s success has always been providing a (sizeable) space for the community the cinema serves and feeds off. That space has been made manifest in various ways: in the form of the running of the cinema, its programming and, crucially, its establishment, with Meech enlisting the help of interested parties to renovate and make fit for purpose existing buildings with no previous experience of having been an operating cinema. And so it was earlier this year, on a cold day in January when Meech outlined his plans at a meeting convened to discuss his plans for a new cinema: “This is gonna be a film space in Liverpool,” he said of the beautiful old Magistrates’ Court on Victoria Street, “but I’m gonna need help to do it.” Speaking passionately and convincingly about what he wanted the Liverpool iteration of A Small Cinema to be, he explained the project’s genesis happened not here, but in Berlin. Meech waxed lyrical about how it would be “amazing to put something in [the] community and see what happens”. It was infectious stuff — and it had to be to achieve what he proposed: a fully-functioning, comfortable cinema in mere weeks. It was hard to visualise such a feat happening in so short a space of time. But here we are, mid-March and on the eve of ASC’s launch event this Thursday. Accompanied by the screening of a film documenting the process of the build, it will surely prove an emotional and rewarding – even cathartic – evening for those involved. But there won’t be too much time for back slapping or, heaven-forbid, the hangovers that will surely follow, for ASC’s space is already programmed for the remainder of the week, by many of those interested parties who have helped bring the cinema to fruition. And who knows, maybe we’ll get to see a love letter such as Cinema Paradiso screened in this labour of love. I can hardly think of anything more fitting. Keep an eye on Liverpool’s Small Cinema website and Twitter @smallcinemaLPL for news, screenings and wider programming!